Games such as the Wheel of Recycling are a major part of outreach efforts. 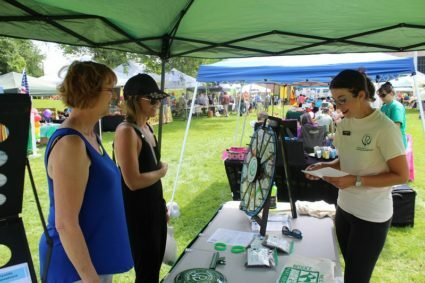 The Tompkins County Department of Recycling and Materials Management attends community events throughout the year in order to come face to face with the public and promote our services. We aim to reach residents from all municipalities and answer any questions or concerns. 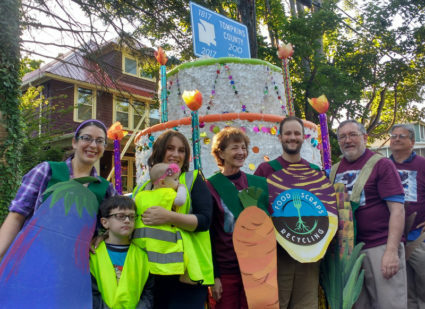 TCRMM Staff marched as vegetables in the Ithaca Festival parade to promote the Food Scraps Recycling program.